Americans are often surprised to discover that their private property can be taken by the government without their consent. Most people become aware of the government’s power of eminent domain (also known as “condemnation”) when they discover that their property is needed for a public project, such as road improvements, a new school, utility upgrades, conservation or an airport expansion. The use of eminent domain to “take” private property and the actual process of “taking” land for public use is limited by the U. S. Constitution as well as the constitution and laws of each state. Condemnation power is one of our government’s greatest powers. That power can be kept in check by skilled condemnation lawyers who are familiar with the complex laws and procedures limiting the use of eminent domain. Your Property — Our Attorneys’ Legal Experience. 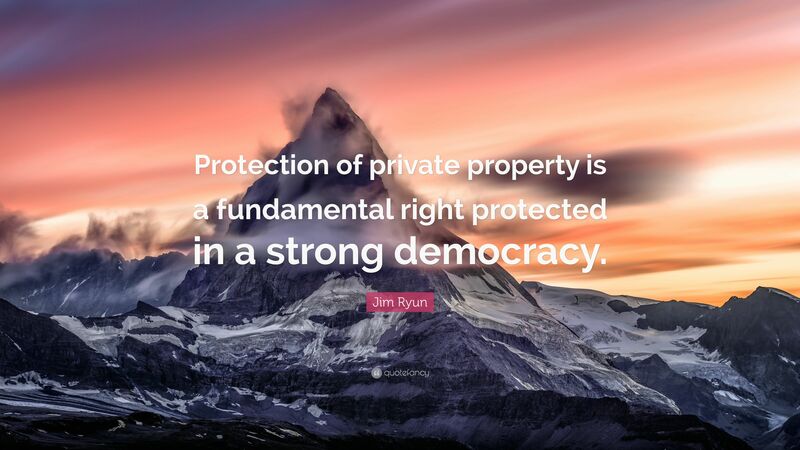 To protect private property owners against the power of eminent domain, the Fifth Amendment of the U.S. Constitution states that private property may only be taken for a public use and only if “just compensation” is paid to the property owner. Unfortunately, overzealous government agencies sometimes attempt to take private property in violation of the owners’ constitutional and statutory rights. When you fall victim to an unconstitutional taking, it is important that you stand up for your rights and fight back against the government’s illegal activity. Whether this means fighting to keep your property (if the taking is not based on a valid public use) or ensuring that you receive just compensation, it is important to have experienced, dedicated and impassioned legal representation on your side. Owners’ Counsel of America (OCA) attorneys provide property owners with first-class legal representation across the country. OCA is a nationwide network of skilled and experienced property rights and eminent domain attorneys across the United States. Each condemnation lawyer affiliated with OCA is dedicated to representing private property owners against Federal, state and local governments, utilities, redevelopment authorities, transportation agencies, energy companies and other agencies granted the power of eminent domain. The eminent domain and property rights attorneys in the OCA network are knowledgeable about and experienced with all types of takings issues, real property valuation and property rights litigation. Has the Government Taken Your Private Property? Government takings can occur in different ways and they can affect different rights in private property. For example, while the government may attempt to take your property through a formal condemnation proceeding, it may also simply start clearing your land or building on your property. When this happens, an OCA lawyer in your state can help you file an inverse condemnation case to protect your constitutional rights. Similarly, while most government takings involve seizure of private land for public use, this is not the only way the government can interfere with a private landowner’s rights. For example, if a government project on other land impairs the value or usefulness of your property, this can constitute a “taking” under the law. Likewise, if the government has imposed a new regulation or changed zoning laws resulting in a decrease in the value of your property, this type of “regulatory taking” implicates your constitutional rights as well. Even when the government follows the proper procedures and restricts its condemnation efforts to the confines of the law, property owners still often end up fighting for just compensation. Just like any other person or entity, government bureaucrats and federal agencies want to get as much as they can for as little as possible. If you have received a condemnation notice, it is absolutely crucial that you hire an attorney to help you fight for just compensation. OCA’s lawyers maintain close working relationships with appraisers, engineers and other experts who assist in valuing the losses associated with government takings so that our attorneys can fully protect their clients’ legal rights. Do not let the government take advantage of you. If a government agency or private developer is trying to condemn your property, contact an attorney with Owners’ Counsel of America today. The government has numerous experienced eminent domain lawyers and experts on its side. To match that kind of fire power, you will need an attorney with significant experience and a proven track record of successfully defending landowners’ rights in eminent domain. You need a lawyer who is not afraid to stand up against the government to secure your rights and who is passionate about protecting individuals and businesses against government impropriety.